The Metrologic IS8000 has been discontinued. No direct replacement is available. The most cost-effective solution for product transported by conveyor or chain hooks. The exclusive holographic technology of the Metrologic IS8000 produces either large area scanning or high density scanning for smaller labels. The IS8000 is suitable for walk-under tracking at loading, unloading, portal and security points. 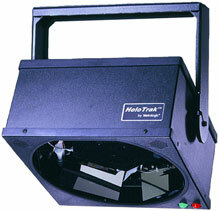 The IS8000 avoids the need to turn or aim packages or to use one hand to hold a scanner. Omnidirectional scan pattern reads as the goods pass through the scanner. These scanners also provide audible and visual indications of valid ID.